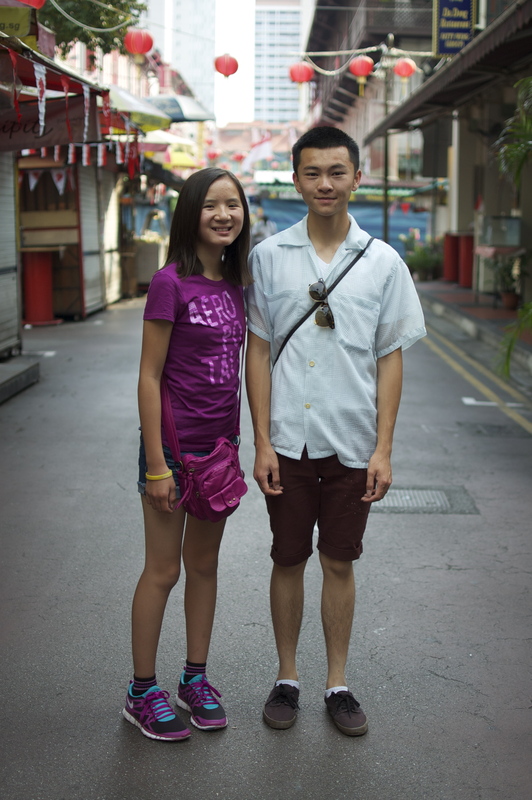 Today, the sibs and I ventured to Tong Ah Eating House in Singapore’s Chinatown. I asked the Twitterverse for suggestions, and an editor of Serious Eats told me to go there. We went at about 8:30 AM. The old men, young couples, and business ladies were all hanging out alongside this nondescript, triangle-shaped kopitaim (coffee shop). Some were smoking; others were reading the paper. Although the setup in similar in theory, this was not anything like your typical Parisian street cafe. 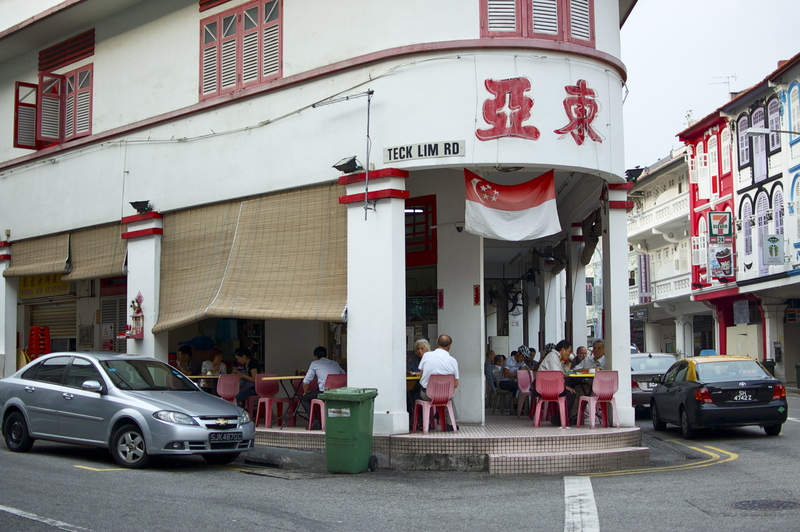 Rather, it had a uniquely Singaporean vibe to it. This right here is the kopi C, or coffee with evaporated milk and sugar. KOPI Coffee with sugar and condensed milk. KOPI KOSONG Coffee with no sugar (“kosong” is zero in Malay). KOPI O POH Diluted black coffee with sugar. KOPI PENG Coffee with sugar and condensed milk, over ice. YUAN YANG Half-coffee, half-tea combination, with sugar and condensed milk. 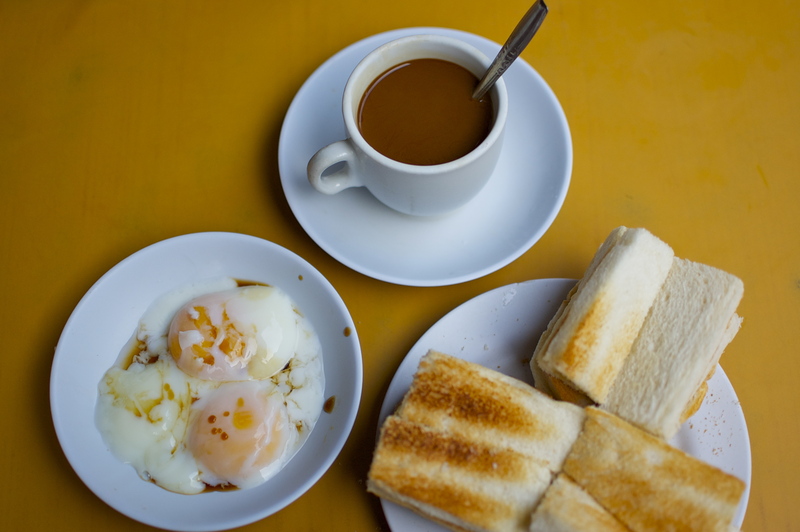 The two other things are kaya toast and lightly cooked eggs. 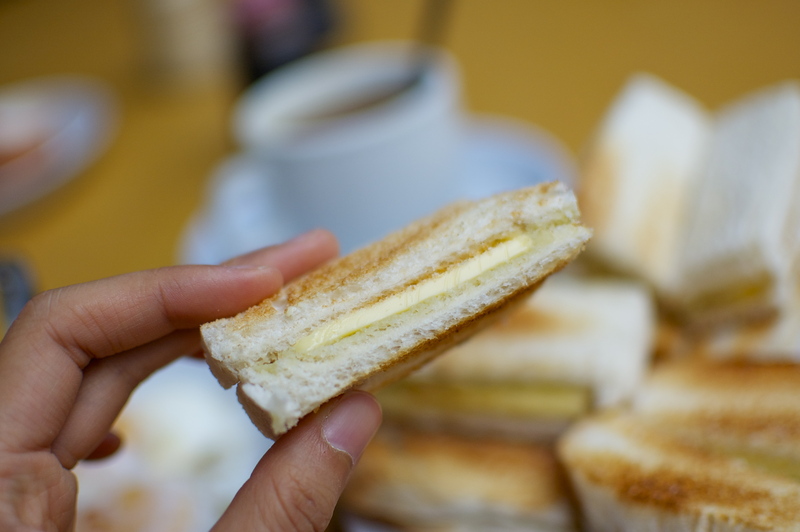 The kaya, a butterscotch meets coconut butter spread, literally melted in my mouth. Wow, that toast was good. Maybe the best toast with butter I’ve ever had. It was especially delicious dipped in the eggs, which you crack open on the spot and drizzle with soy sauce or salt to your liking. 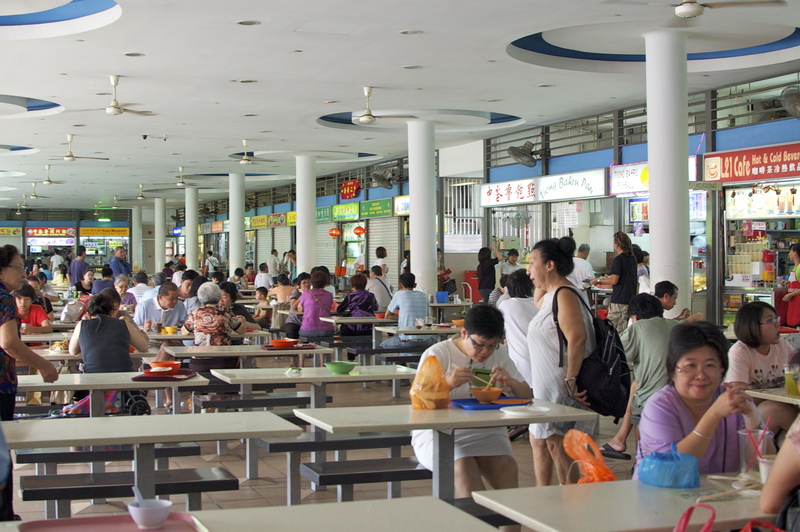 After walking across the city to work up our appetites, we took a trip to Tiong Bahru Market, an indoor food market that was buzzing with locals (no tourists always a good sign) during lunch hour. We knew to go there because Anthony Bourdain did his layover there. We picked the booth with the longest line and ordered noodles and wonton. 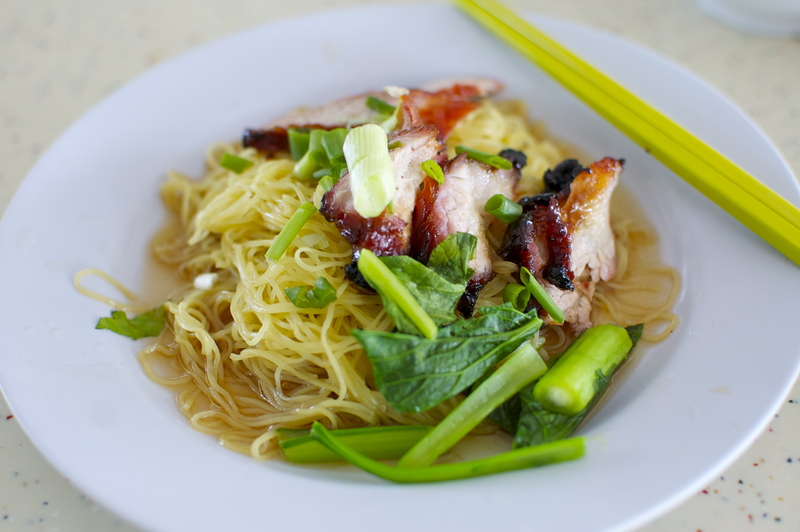 Russ and I both agreed that the noodles had some of the best cha siu we’ve ever had…in life. Day 1 of eating = success.